At the end of every year I’ll post the year’s “must read” books. 5 books that stand out from among all the wonderful books that I read during the year. Some are books that were published recently. Others that were published years ago. Each however, profoundly influential in my own spiritual journey. And that I pray, will be a source of strength for you as well…. 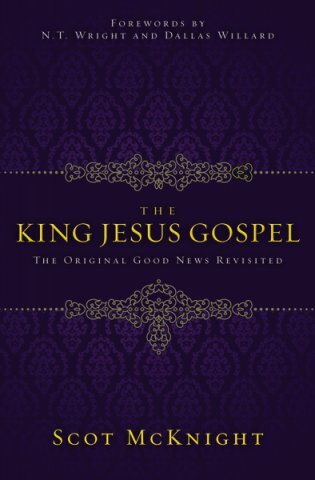 “The King Jesus Gospel” is a wonderful recent work from Scot McKnight. The subtitle is: “The Original Good News Revisited.” Often what we confuse for Gospel is the teaching that surrounds the Gospel. If and when we do the message is crippled and our impact diminished. Anything from McKnight will bring you closer to God. “The King Jesus Gospel” has forwards written by NT Wright and Dallas Willard if that tells you anything! Eugene Peterson is one of those writers whose work speaks to each of us to the extent that we will allow. From “Eat This Book” to “Practice Resurrection” and any and everything else, anything from Peterson’s pen both challenges and encourages. I first read “The Pastor” in 2012 as a part of a discipleship group that I met with in Waco. Any book that’s worth reading is worth reading several times. Since then, I’ve read “The Pastor” three more times. 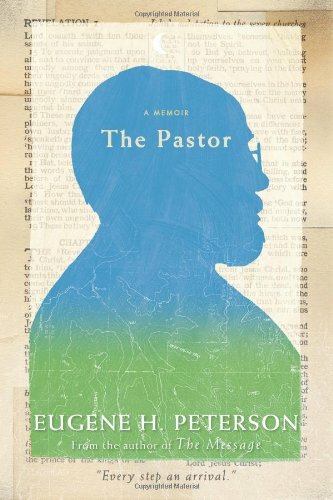 “The Pastor” is Peterson’s memoir of a life of ministry. If you’ll read it, I am confident you’ll be inspired. The way I list these books year after year are in no particular order. My desire is simply that my readers will see or hear something from these offerings that they believe will impact their walk with God. If they were listed in order “Scarred Faith” would be at the top! In “Scarred Faith” Josh Ross beckons us to walk along side of the Bizaillion/Ross family through the loss of his sister Jenny. And to come out on the other side with a greater gasp of the redemption that we await, and the redemption that is our present reality. We are redeemed from a broken world through a broken Messiah who embraces us in our brokenness so that we in turn would minister to those who are broken. Josh and I really only know of one another. Although we grew up at the same church, he is several years younger, and when you’re in high school and in your early twenties, that’s an eternity. Josh’s parents however, Rick and Beverly Ross have been crucial in my and Tiersa’s life together. Rick was our minister for the first ten years of our marriage. And although I had heard preachers all of my life, Rick was the first one that I listened to. His wife Beverly is equally as precious to Tiersa. Rick and Beverly truly live out the words of the Apostle Paul, “Follow me, as I follow Christ.” Tiersa and Jenny we’re good friends, especially during the MOPS years. Her loss has scarred us all. 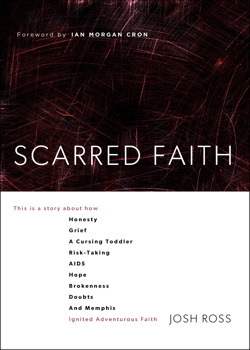 In “Scarred Faith” Josh ushers into the soothing, healing, powerful presence of God. 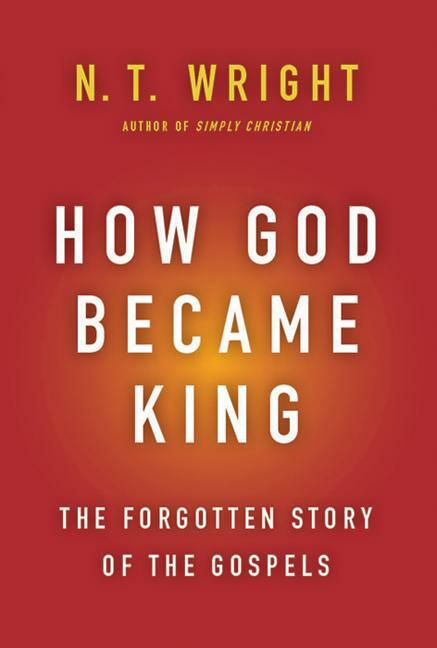 “How God Became King: The Forgotten Story of the Gospels” from NT Wright intently focuses upon Jesus as the Messiah. “Foundational. Familiar. Studied. But forgotten” Wright advocates. “The surprising, unexpected, and shocking news of the gospels: this is the story of a new king, a new kind of king, a king who has changed everything, and a king who invites us to be a part of His new world.” Don’t let the title throw you off! You may be quick to respond, “He is King because He is God!” Allow Tom Wright to bring you into the story. And in turn, into the throne room of God. Wright is an academic (not as if these other authors are not). He’s not the easiest to read. But his writings are nothing short of brilliance! Finally, “The Divine Conspiracy.” And you’re going to say to me, “Jason, I read that book when it was originally published in 1997!” Here’s my response: “Read it again!” Over the years I have read everything from Willard. Everything. “The Great Omission.” “Renovation of the Heart.” “Knowing Christ Today.” You name it from Willard, I’ve read it. But with his sudden passing this year, I’ve been a bit contemplative. Rereading some of his works that have sat on the shelf for years. 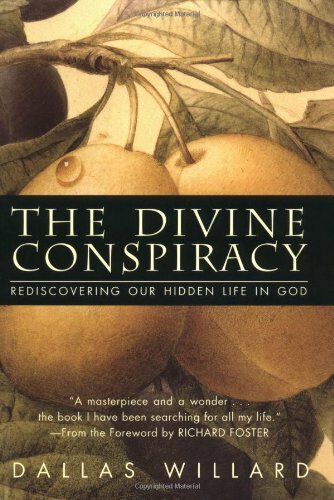 “The Divine Conspiracy: Rediscovering Our Hidden Life in God” was one of those books this year in which when I read it, God’s timing was amazing! Willard’s heart and candor and yearning for more of our God permeates every page. Meaning and purpose in Christ are found at every turn. The legacy of Dallas Willard lives on in a wonderful way, in the ways in which he continues to serve the Kingdom and those of us who are so blessed to be a part of the Kingdom, through his works. If you’ve never read “The Divine Conspiracy” I’d encourage you to read it for the first time. If you’ve read The Divine Conspiracy before, I’d encourage you to read it for the first time, yet again.